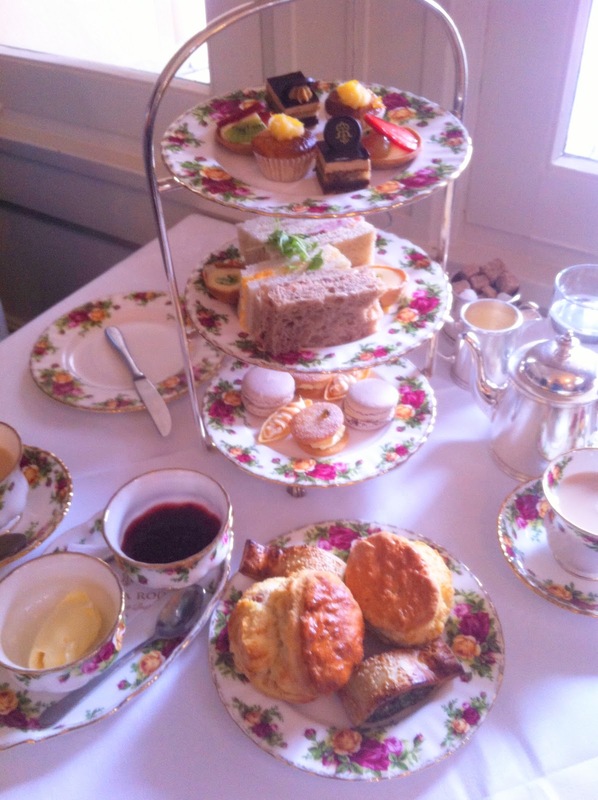 I consider High Tea or Afternoon Tea in general to be one of the the greatest ideas ever as it's the ultimate excuse for me to indulge in sweet and savoury delights within that awkward time slot between lunch and dinner. 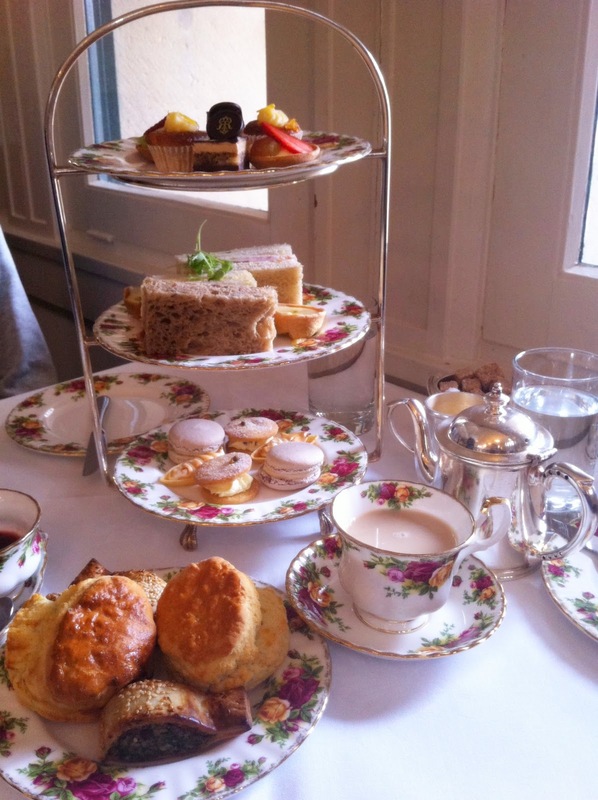 The Tea Room at QVB has always had a reputation for their esteemed High Tea Services and upon hearing many people rave about it, M & I decided to try it out. There are quite a lot of afternoon tea options available to choose from but M & I are keen for the Traditional Afternoon Tea Set ($39), which includes a set selection of finger sandwiches, petit fours, sweet and savoury pastries, scones with preserve and clotted cream, accompanied by tea or coffee. Weekday and weekend prices differ, with the latter being more expensive naturally. The Tea Selection range is beyond extensive, ranging from your classic basics of Earl Grey and English Breakfast to the diverse choices of oriental flavours such as Royal Yunnan and Jasmine Pearl from the Tea for Connoisseurs options (which would incur an extra $2). My Grandma would love this place solely because of how beautiful their tea sets are! When it comes to tea, I only ever order the same thing. After all, a good cup of English Breakfast alone, can make my day. It's the ultimate safe option and the epitome of traditional tea. 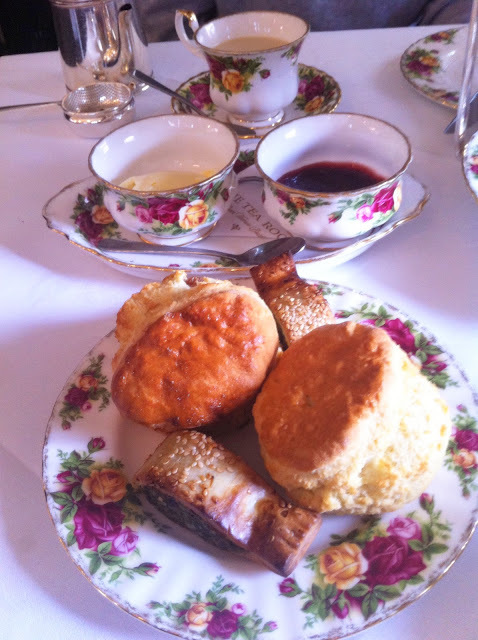 At The Tea Room, the English Breakfast consists of the best quality Ceylon tea from Sri Lanka. The tea was everything I asked for, after my ritual inclusion of two sugars and milk. 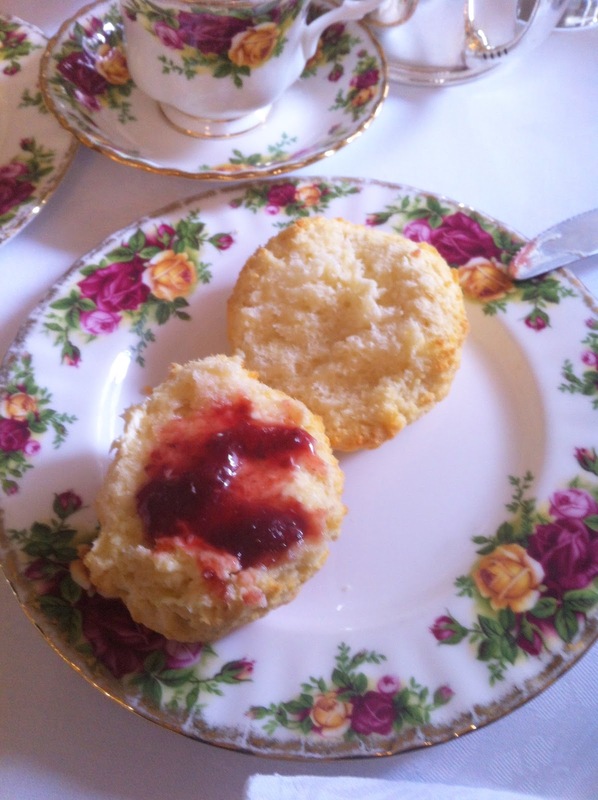 The Scones were incredibly delicious after a generous heaping of cream and jam smearing. Seriously, SMEAR IT ALL ON! With a beautifully golden brown floury top and a rich buttery taste to each bite, it was perfect. The Spinach Pastries next to them were even better. Served nice and hot, it was full of flavour and the correct balance of pastry. Loved it!!! Moving on to the 3 tier stand, we started off from the middle tier where the savoury goodies sat, waiting for us to devour. The sandwiches were seriously so soft and tasty that we asked for refills! And YES! They give refills for sandwiches, how nice is that?! Both the Egg and Ham Sandwiches were amazingly fresh and delicious. Although the Purple Macarons looked absolutely gorgeous, it didn't fare well in taste for us. To be honest, both M & I simply had no clue what we were eating...we probably should've asked about the flavour. Oh wells! The melting moments (I hope that's what it was) had a passionfruit cream filling as I recall and they were very yummy.